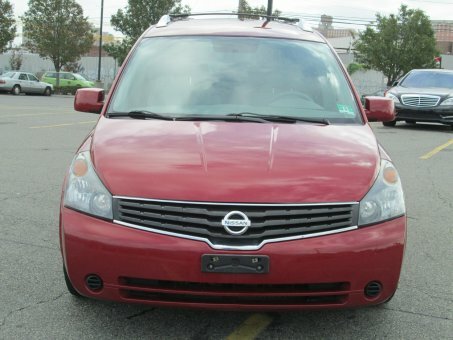 This is a very clean 2007 Nissan Quest 3.5 S!!! It is burgundy with gray cloth interior, rear DVD system, rear climate control, power passenger sliding door, power tailgate, CD, cruise control, keyless entry cold A/C and much more! It looks and drives great! Comes with no prior paintwork and a clean carfax guarantee! Look at our ratings and buy with confidence! Airy glass roof system, flat-folding rear seats, muscular V6, excellent crash test scores, roomy interior, sharp steering.